He’s strong too! 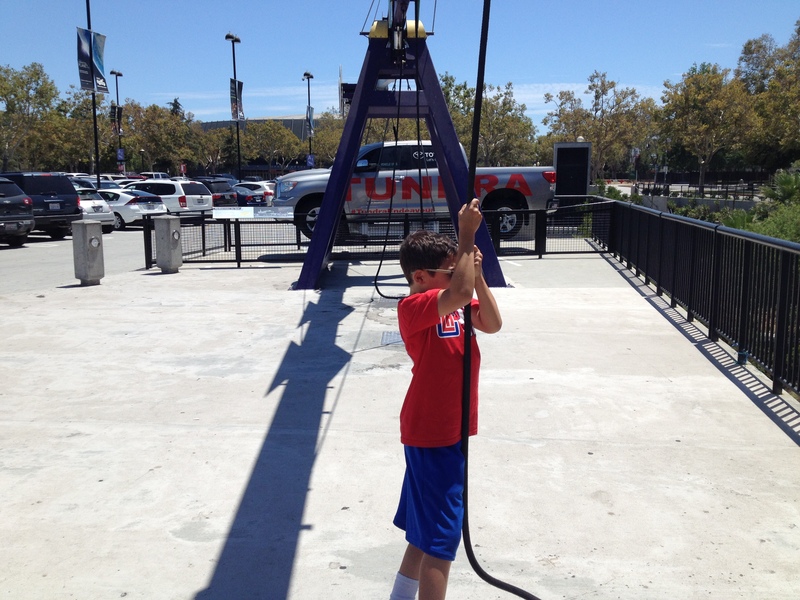 At the California Science Center, my son is lifting the truck that helped tow the space shuttle Endeavour! Earlier this year, RoleReboot.org published one of my essays titled “7 Reasons Why My Son Is Smarter Than I Was At His Age.” (You can read it here). More and more, I’m convinced it’s true. My son is smarter than I was at his age. At eight years of age, he has such an awareness about the world around him. I’m pretty sure I was much more self-absorbed at his age. And he wonders about things and asks questions, that many times I don’t know the answer to. (But due to the magic of Google, answers are never too far). I love the fact that my son asks questions. I love that he’s curious and interested in such a wide variety of subjects. And I love that he knows that it’s always okay to ask his questions. Because he knows his questions will be listened to, will be considered, and will be answered (to the best of my ability). I found the mug you see above at the Barnes and Noble Cafe and was immediately offended. 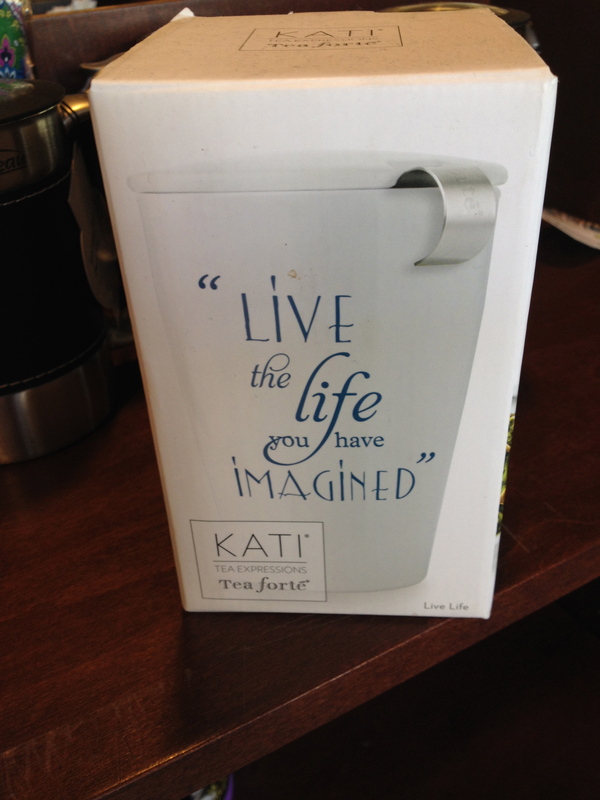 And I knew that this mug, innocently sitting on a shelf waiting to be purchased, would be the topic of this blog post. As if my life must be pre-planned, and I wasn’t allowed to deviate from my imaginary blueprint. How limiting would that be? It got me thinking that most of my life isn’t anything like the life I had imagined. I had never imagined I’d be married weeks before my twenty-third birthday. I had never imagined that I would be the mother of one child, not two. I had never imagined that my adult home would be ten minutes away from my childhood home. I had never imagined that by the age of 40, I would have only once traveled internationally. And I would never have imagined that I would have retired (due to a disability) from my teaching career after twelve years. That isn’t to say my current life is worse or better than the one I had imagined. It’s just that when you’re young and inexperienced, your imagination starts to run wild. I envisioned trips abroad (to visit my pen pal in Japan and to eat pasta and gelato in Italy) and a semester studying in France. I imagined owning a house instead of being a life-long renter. But, you get older, and you get out into the world and start experiencing life, and realize that your imagination and your reality don’t always match up. And you realize, that different than originally imagined isn’t bad. Different than originally imagined can be fine. Actually, more than fine. 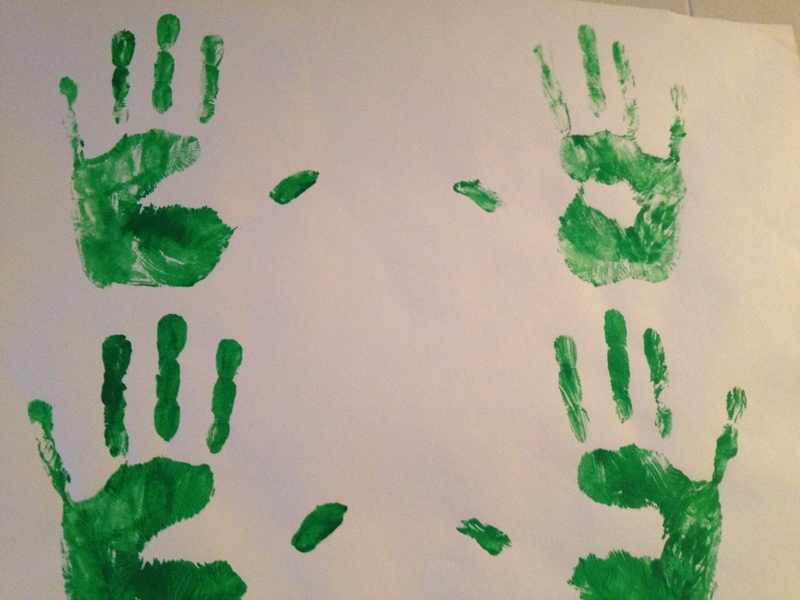 On Sunday, Mamalode.com published my essay “On September 11, 2001 We Made Handprints of Hope.” You can read the essay here. I’m asking you all to please read my essay (on all your devices) and then share the link with others. Mamalode compensates writers based on the number of views a post receives. (Minimum payment requires 500 views within 30 days, but of course, the more the better). 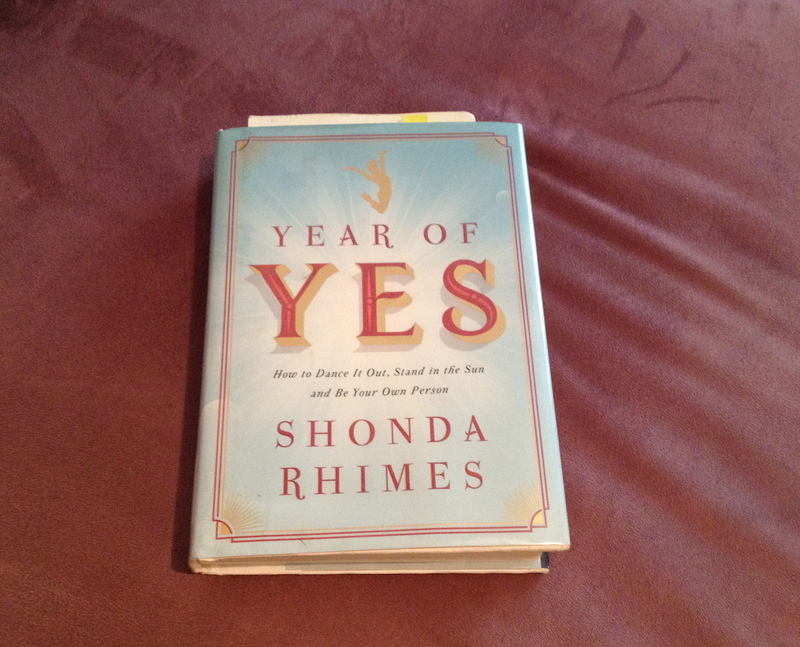 I’ve recently started reading Year of Yes by Shonda Rhimes. I’m at a slight disadvantage because I don’t watch a lot of television, so I’m not familiar with any of the shows Ms. Rhimes references. (Though I do understand that they’re her shows). Putting aside my television ignorance, so far, I’m right there with Ms. Rhimes. I want to see where this year takes her. Because there was something she wrote within the first thirty pages of her book that really spoke to me. Sometimes I fear that I will become that person — the always tired, always afraid, always quiet person. And sometimes I fear that I have already become that person. And that’s not the person my husband married. That’s not the person I want my son growing up with. And that’s not the person I want to see when I look in the mirror. So the reading continues. I’ll go with Ms. Rhimes on her journey, and maybe, it’ll help me with mine.